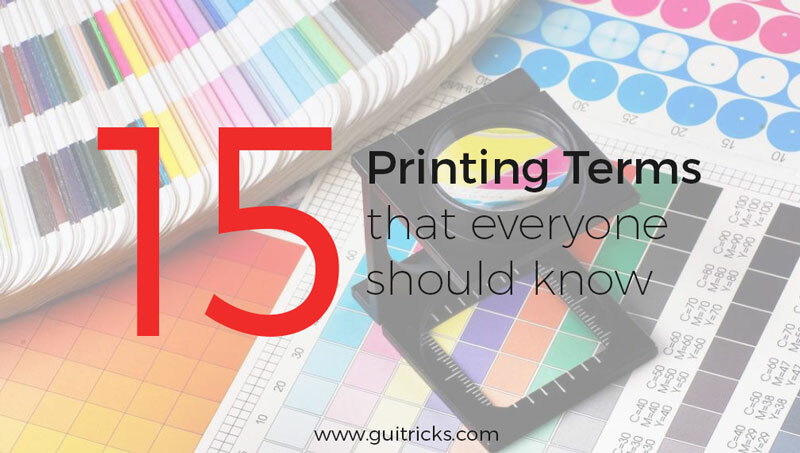 15 Printing Terms Everyone Should Know | GUI Tricks - In Touch With Tomorrow! 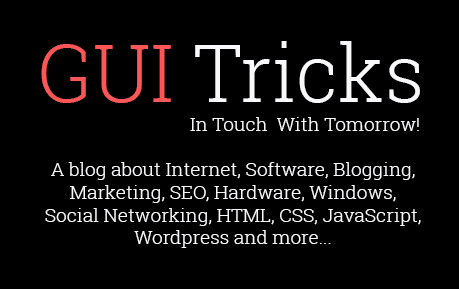 15 Printing Terms Everyone Should Know - GUI Tricks - In Touch With Tomorrow! Being a designer means knowing so many terms regarding editing Pictures, creating animations, or any kind of media. From Poster to brochures no matter what form of print you order designers must know how their work will be after being printed upon a media and for that you must know the terminologies related to printers. This term refers to the extra space on the poster that your art has as designed but to have the best graphics just till the edges the portion must be cut out from the art. This cutting of extra image space is known as Bleed. You are required to specify the tolerance of bleeding the art while having a finished output. RGB is an abbreviation for Red, Green, Blue. It’s the general mixture for every colour i.e. all colours can be derived from these colours. All on screen graphics and motions are displayed using these 3 pixels that you eye seems to recognize as separate colours are basically the combination of these 3 basic colours. Ever noticed how a gigantic poster got printed? Well, Large Format Printers are there in the market. These are really expensive. They work on the same technology used by home desktop printers but on a larger scale. The largest models can even print for up to 64 inches wide. They are mostly used for business printing and promotions. This refers to Dots Per Inch. It is your source file’s resolution measure. DPI will affect the sharpening or the blur of art on your finished print. In short greater the DPI sharper will be your art. But be sure to have a check on resolution settings with your printer before designing any art for printing, as every printer also have their specs on printers and have a limit on the resolution they can print. The solid powdered ink used by your office Xerox machine is an example here. It is melted down before printing. It’s best for quick prints but not for arts. Pantone is a worldwide colour matching standard which has been developed by Pantone Company. This standard assist printers in having specific formulae to mix ink for matching a desired colour. Almost all printing agencies can have a 97% match of your required colours on the finalized print. The actual size of the finished print. 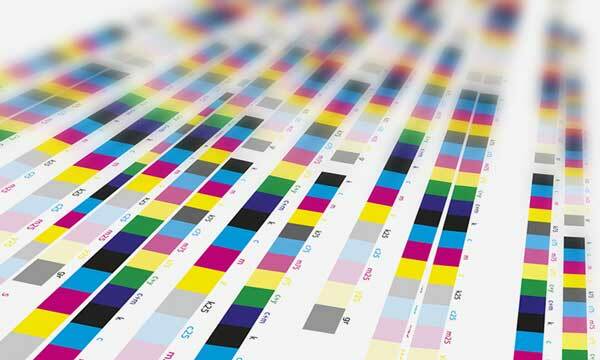 Lithography is an offset printing method used to print specific places. The method uses plates to print on an area. Plates are used to attract ink to the image area on paper. The images are firstly printed on to rubber sheet which is then transferred to the paper by using plates. This term stands for Raster Image Processor. It is a device/ driver for printers to produce highest quality output for various arts. The enhancement produces a raster image also known as a BITMAP image, which is used to produce a printed output later on. Well in a technical way this word does not means videos and graphics. This actually means the object or material that can be printed upon with a designed project. The all famous Paper is not the only media in world but there are many kinds. Such as plastic, fabrics, vinyls & screens etc. It is the abbreviation for cyan, magenta yellow & black (‘key’). Just like RGB it is a system used to make other colours using these four colours. It is used in most of the printers. Spot Colour is used for specific matching of a colour. It is not printable by CMYK plates but rather have ink mixed manually with a separate plate to finish it on to a media. It is simply the term used for computerized printing. Like the method used to get print from a desktop printer. The digital work there is the reading of your source file by the machine. A device for measuring intensity and hue of light emitting from computer screen. It is present on the screen containing a light reading cell. It is used to measure the intensity of colours and calibrate the monitor accordingly. Most of the professional Printers have this preinstalled (built-in). It is used for a proper paper-ink calibration so that you can have the best quality output. Inkjets using ink are mostly pigment-based. They have 12 colours and used for simple toned arts but well resistant to UV light.